Voted best venue on TLC's FOUR WEDDINGS! Congratulations on your upcoming wedding! 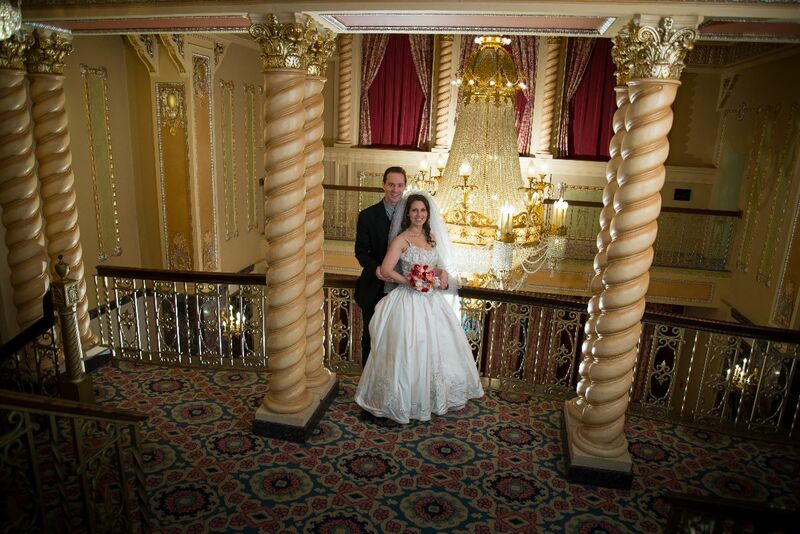 The Genesee Theatre offers a number of beautiful locations for ceremonies and receptions. Treat your guests to a once-in-a-lifetime experience when you host your wedding on our spacious 4600 square foot stage. 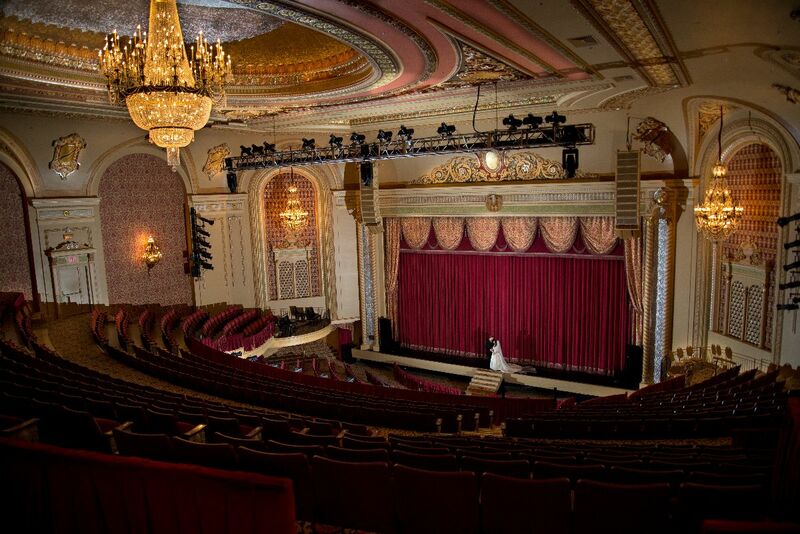 Guests will be dazzled with a VIP view of the Theatre’s crystal chandeliers and gold toned décor. The Stage package includes professional stage lighting, a colored backdrop, and use of the house sound system for up to 180 guests. On your wedding day, imagine walking down our center aisle under the stunning auditorium chandelier and taking your vows on stage while your guests enjoy the drama and romance from the best seats in the house. After the ceremony, the red and gold gilded curtain rises to reveal your reception, and guests join you on stage to enjoy an evening of dining, dancing and celebration! Our sumptuous Grand Lobby, adorned with original Italian marble tiles and two winding staircases, is a magnificent location for an intimate wedding ceremony of up to 100 guests. The 18-foot tall Baccarat crystal chandelier suspended overhead enhances the charm and intimacy of this most unique space. For the reception, guests are ushered to the Theatre’s second floor area and stroll across a catwalk overlooking the elegant ceremony space. Throughout the reception, guests will also enjoy outdoor access on top of the Theatre’s lighted marquee. Our Special Events Manager will work with you closely on the individual details of your wedding. Genesee staff is responsible for the set up and clean up of the Theatre. You and your vendors are responsible for removing any specialty items such as centerpieces, gifts, floral, etc. after your wedding. Other arrangements for pick up can be made depending on the Genesee Theatre schedule. A 30% deposit is due when the contract is signed to guarantee your wedding date on our calendar.